Go to Bounce ‘N Round Inflatables for Open Play July 6 | Joe Hayden Real Estate Team - Your Real Estate Experts! Load the kids in the car and head over to Bounce ‘N Round Inflatables this July for Open Play. During Open Play, you can play however you like which is just what kids want to do all the time! You'll find more than 4,500 square feet of inflatables here. 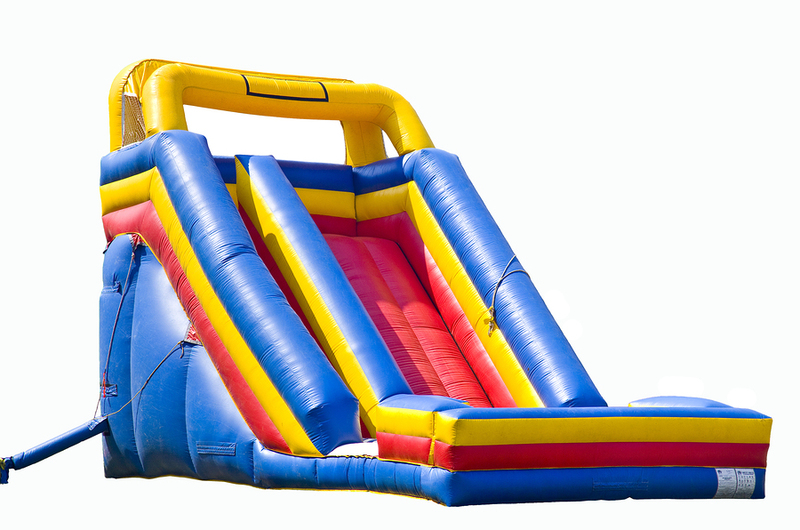 That includes the Radical Run Obstacle Course, a 15-foot tall landslide and the Disco Dome bounce house. Younger kids love the Animal Kingdom area. If you're feeling competitive, try the Skeeball. Open Play is open from 9:30 am to noon and from 4 to 6 pm. All kids, from babies to age 12, are welcome to come bounce around here. That way, they won’t be bouncing off the walls in your house! The facility is at 2510 Plantside Drive in Jeffersontown, a neighborhood that’s always full of family fun. The trampoline park is just moments away from Bounce 'N Round. In the other direction, you'll find the bowling alley. Jeffersontown has all kinds of family fun, from outdoor parks to huge play places. There's lots of stuff here for parents, too. Gyms, boutiques, restaurants, spas, J-Town has it all. There's even an historic district here, and a museum dedicated to the history of the neighborhood. Jeffersontown has been a part of Louisville for a long time, but you'll see that this is very much a modern family neighborhood. J-Town is also full of amazing real estate, large family homes with contemporary architecture that sit on sprawling green lawns. In fact, there are new homes and empty lots here, too, so families can build the home of their dreams. But if you're looking for a dream home, you'll find plenty of them here. J-Town has homes in all shape and sizes, suitable for all families. Find a house that's just perfect for your family in J-Town this July.